Protestors in Israel accuse foreign media of burying their heads in the sand over of the biggest anti-government protests the country has seen in decades. Tens of thousands of people are staging demonstrations over deteriorating living standards. The events, however, are little known outside of Israel, because their story is not receiving the coverage which protests in Egypt and other Arab countries did. “When it comes to Israel, a lot of the foreign media want to see an action movie. This [demonstration] hasn’t been violent,” May Flam, a protestor explained. 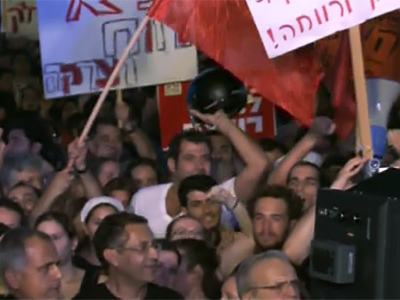 It is the largest demonstration in Israel in over a decade. And how did ABC, CBS and NBC cover it? Not at all! While the editors of France 24, BBC and Sky coughed up just a few meager seconds. “Perhaps it is not that interesting to their editors back in the studios. OK, there is a protest, what exactly is a protest? A social protest? A revolution? It is not the same kind of story, as big and dramatic as some of the bigger revolutions happening around the Middle East,” says Amir Mizroch, English editor for Yisrael Hayom daily. Amir Mizroch is not surprised by the worldwide lack of media interest. He has worked in the Israeli press for a decade reporting for media both foreign and local. “There is a box that the international media has put Israel in, and it is the Israeli-Palestinian conflict. Also the Israeli-Lebanese and Syrian conflict. And anything that is not directly linked to that is not the immediate type of news item, which is unfortunate,” he says. Blogger and journalist Danny Schechter agrees, saying foreign media tend to depict Israel as some monolithic country, which in reality it is not. “When you look at the Middle East, they talk only about the Arab countries. Only they have internal discord. You never hear about Israel’s internal discord. 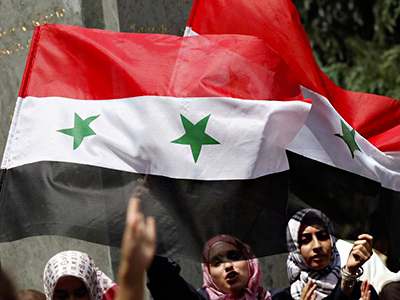 And the fact that this uprising is taking place in Israel while at the same time there is one going on in Syria and there is one going on in Egypt shows that the same pressures are being experienced by the Israeli people as well,” he said. 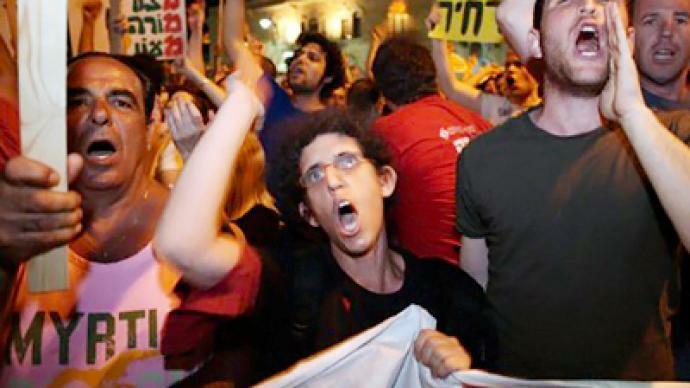 One of the streets in Tel Aviv has been dubbed Tahrir Corner by some of the protestors in optimism, perhaps, that they too can bring down a government in the way their neighbors in Tahrir Square, Cairo, did. But whereas there the cameras were rolling around the clock they are pretty absent here. That just makes Hanna Rais and others angry. For nine days she has been camping, furious that she cannot make ends meet as a university student. “It makes me upset that when Egypt decided to stand up and say ‘we’ve had enough’ and when in Lebanon they decided to say ‘we’ve had enough,’ the media was all over there. I haven’t seen anyone from CNN or Fox News or from any other big news channel here. It’s really sad. We also deserve a chance to be heard out,” she says. But according to independent media consultant Jeremy Ruden, the protestors need to be patient. “It hasn’t reached international proportion yet. Its not that the government is fallen, this is like an inside turmoil story. And that is a bit of a problem when you are looking from overseas, thinking of what to cover. It’s not like the economy has collapsed,” he asserts. 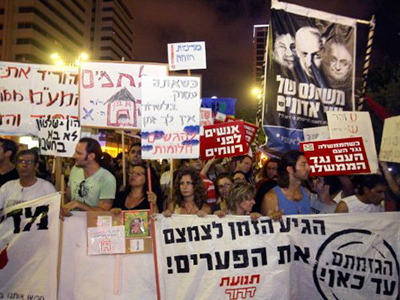 But long before the economy collapses, protestors in Israel might have to throw in the towel. Because, as demonstrators have learnt around the world, without the international press and without the pressure of foreign governments, a protest can go only so far. Tel Aviv based journalist and blogger, Ami Kaufman, who has recently written a blog “Suddenly, Israel isn't a story anymore?” explained his vision of that to RT. “I think that a lot of news editors abroad kind of take certain things for granted when it comes to Israel and almost go on a sort of autopilot – if it’s not anything to do with the Israeli-Palestinian conflict, it’s just not a story,” he stresses. ”If Netanyahu resigned, of course, all eyes would be on Israel as again this would affect the Israeli-Palestinian conflict. Any political change in Israel has an immense effect on how the Israeli-Palestinian relations. So I presume that if there is a chance of regime change then media coverage would be a bit closer on Israel,” he assures. All-in-all, Israel is often in the news, “but when it comes to something that could affect the political situation and it is not covered, this is actually bad journalism,” believes Kaufman.